Our durable, sturdy Eskies are Half Wine Barrels with rope handles for easy carrying. 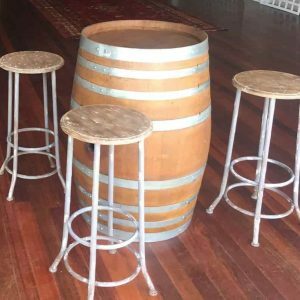 The barrels are genuine French and American oak barrels cut in half and refurbished to bring out their beautiful vintage look and feel. 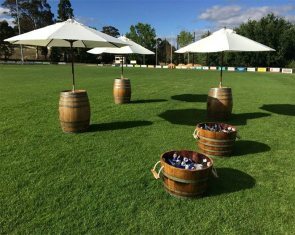 The Eskies are designed to store ice and keep drinks cool at outdoor functions such corporate events, weddings, birthday parties and more. 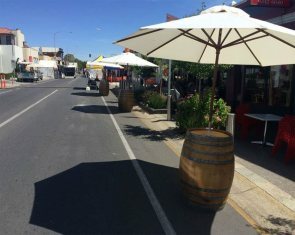 Our Eskies have also been used to present corporate products such as wine, beer, food products and to display flower arrangements. 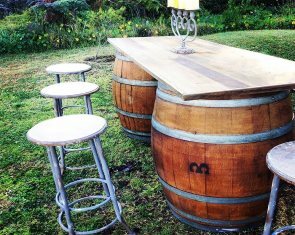 The hire price of the Half Wine Barrel Esky is $35.00 plus GST.